They aren’t quite butterflies yet, but I was so excited when I found the monarch caterpillars!! 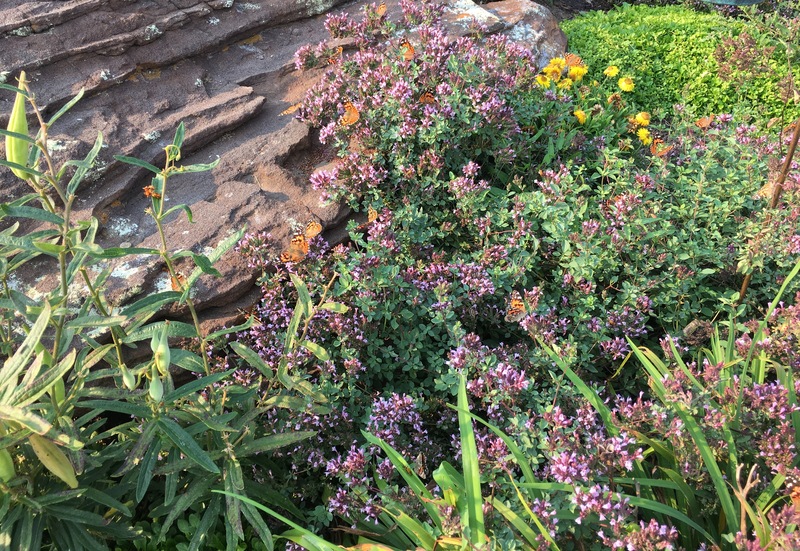 I planted the butterfly garden a few years ago and this year we have SO many butterflies. I also found 10 caterpillars on my parsley. We haven’t had the monarch butterflies yet, but we have hundreds (and hundreds) of Painted Lady butterflies. They are enjoying the Rough Blaze Star, one of the native plants that I bought at the Arboretum of the Plains in Hesston, KS at their spring sale. Their fall sale is this weekend. You can bet I will be there!! 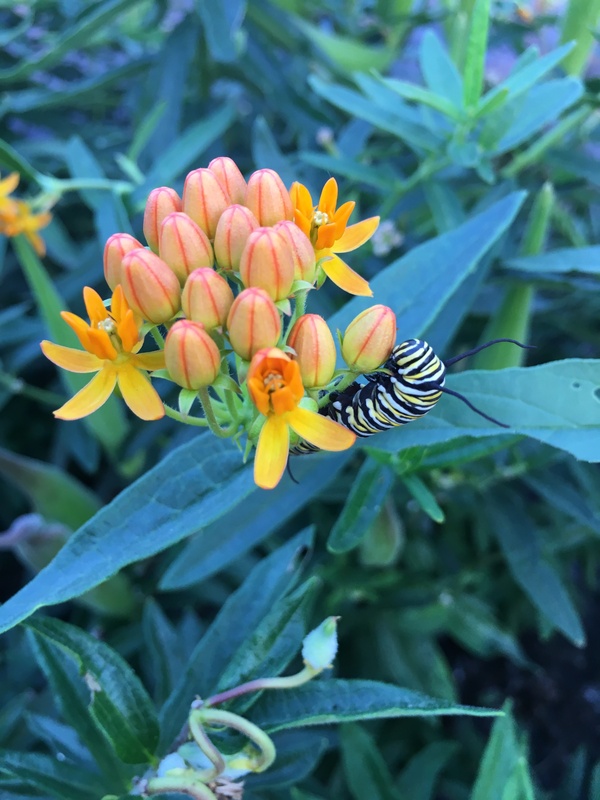 This entry was posted in Daily Happenings and tagged butterflies, flowers on September 6, 2017 by Debra Farmer. I was so happy you were able to identify the small butterflies that I found on deck plants today. The approaching autumn does have some merit! It’s been wonderful having all the butterflies, and I’m so looking forward to the monarchs. Today I had a “flock” of goldenrod soldier beetles. They weren’t as enjoyable as the butterflies. Hope they don’t stay here too long! What wonderful creatures those caterpillars are — and the butterflies, of course. I’m feeling terribly bereft these days. All of the wildlife refuges and state parks and such that I usually visit are closed because of Harvey’s winds or water, and plenty of roads still are closed in the rural areas. I fear I’m going to miss autumn this year — no travel for me, since I lost so much work time I can’t get away. But I’ll be creative, and I’ll look for some of your butterflies on my travels! I keep finding more and more caterpillars. I do hope they have enough time to change into butterflies!! I have 2 nights reserved in Cottonwood that I’m going to use up soon and I also have a trip to SW Missouri coming soon. I doubt if you miss autumn…… you have such a wonderful talent of finding beauty anywhere you are!